Travel with Abby & Megan — Cooking With Abby! We are Boutique Tour Company specializing in unique experiences and adventures, enhancing one’s love of Food, Cooking, and Wine; while also cultivating distinct cultural experiences in each destination. $500 Deposit to reserve; Non-Refundable after 7 days, but transferable to another trip, less $100 processing fees. Balance due 30 days after booking. *includes all lodging, tastings, classes, tours, transportation in France, and many of the meals. Does not include airfare. Please contact us for Travel Agent Information! each glass of wine will be lovely, and the cultural activities will be inspiring. Happy travelers are our goal. Our work begins as soon as you sign up for your trip. We'll help you prepare for the trip, answer questions, and share exciting updates. From the moment your trip starts, we'll be supporting you to ensure everything goes smoothly. We take pleasure in anticipating your needs and responding to your requests. And nothing helps you get in the vacation mindset faster! We love everything culinary and cultural and it shows! Abby is a professional chef who trained with Master Chef Jacques Pépin among others and her connections to local chefs throughout Europe means you get to enjoy intimate culinary experiences and private cooking classes. Megan is passionate about traveling and lived in Slovokia with her husband and young children. She infuses each trip with cultural elements to allow you to experience and appreciate charming details about the local culture. Between Abby & Megan, they have visited over 26 countries and their deep experience ensures your trip is unique, memorable, and delicious. We get it - your vacation time is valuable and your tastes are sophisticated. We feel the same way which is why our trips always include hotels that meet or exceed a 4.5 star rating. All restaurants, cooking classes, and activities have been tried and tested to confirm they meet our own high standards. So you can sit back and relax knowing that every element of your trip will be high-quality and worthwhile. Traveling with our boutique tour company means you don't have to plan a thing. Each trip is meticulously planned to include the best cultural and food options available. We'll provide you with the itinerary ahead of time and while some reservations require a commitment, we know down time is fun too. Your vacation and schedule is always your own. We customize each trip to include free time so that you can soak up the surroundings in your own time. Wondering How You Will Spend Your Day? shop for our ingredients - or linger with the Chef or Winemaker. Often, a cooking class will lead to another adventure with the Chef! We allow time to let the experience evolve esoterically. Start out your day with a tasty and leisurely breakfast chock full of local ingredients. It is the most important meal of the day after all. Delizioso...we could get used to this! Get a taste of the local vibe with a tour of an olive grove in the Umbria countryside. 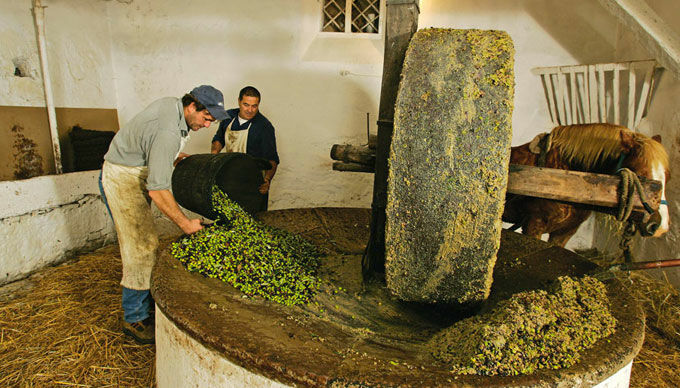 The tour will be followed, of course, by olive oil tasting. Your guide will walk you through the varieties and nuances and you'll be an expert in no time. Shopping in Deruta for world-class pottery is a must! Here you will find that perfect gift and a cherished piece to bring home. A casual lunch at a cozy local restaurant will leave you satiated and ready to conquer the afternoon. 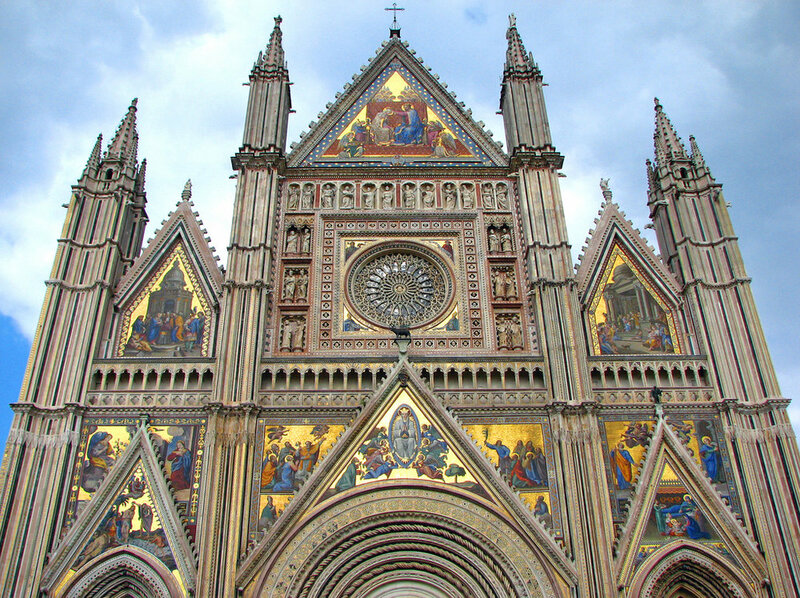 Off to Orvieto to tour the large 14th-century Roman Catholic cathedral where you'll marvel at the ornate features and Romaneque and Gothic archetecture. The city sits atop a cliff on a volcanic plug and the views and magic of the town are palpable. *In Europe we dine a bit later for dinner. We adhere to the local customs so that our trip is authentic to the region and her food. End your day sipping bubbles under the stars and reflecting on the food, history, and joy that filled your day. Buona notte! Our next trip is to France! Bordeaux and Paris, May 12-19, 2019 Reserve Today! Contact us today to reserve your spot or to learn more about your next adventure!